A unique and gifted woman crossed my path and I'm quite sure she saved my life, along with her husband, Robert. When I found them both and their students in what they called The Wholistic Health Center, in Manhasset, New York, it was around 1978 and Tina was referred to by everyone as "Mataji," which means Mother, and even more than that...a Spiritual, highly regarded Mother. Indeed she was! Besides raising her two daughters, she taught Yoga and Amma Therapy to a tight-knit group of students. I never had the privilege to learn Yoga or Amma Therapy directly from her...but when she put her hands on me and manipulated the points of my Energy Body, there was no question that she had a talent and heightened skills and knew exactly what she was doing. Mataji would go right for a point and you felt it and the result! She could see the Energy Body. She could read you and there was no keeping secrets from her. I actually did learn directly from her, because as she worked on me my body would respond; I would feel her hand...actually, her finger tip! on a small direct point on one area and feel movement in an entirely different part of my body. That would key my memory and knowing. When her Father died and then soon after her beloved Brother, she went into a coma. When she came out of that coma she had enhanced sight. In school she walked into class and saw her teacher as a skeleton; and was deeply traumatized. She thought she had done some sort of harm to the Teacher, and the trauma remained even though it was later learned that the Teacher had cancer and Tina had actually seen the future. Later, her husband Robert was able to convince her and help her to see that it was a gift she'd been given; although, as many attest...such a gift is a huge responsibility and provides constant worry and pain for one who walks into a room and sees the sad fate of others. As a Healer, however...I and so many others were "touched by an Angel!" Without x-rays or medical tests she FELT and SAW the problem. She cured me of a spastic colon by use of her hands, herbs, vitamins and dietary changes. I was assigned two exercise programs: Hatha Yoga and T'ai Chi Chuan. "These Americans are so lazy!!" she exclaimed the first time she met and treated me. "You are right," I had to admit. I had instant respect for her because of her honesty ...she only had to see me, and could perceive the lack of attention I gave to my body and overall health at that time. I, like so many others, was still under the supposition that life happens to me. Tina Sohn didn't let one get away with that for long! In this wonderful time, plenty of teachers are in the public eye to say and show evidence that we humans have huge choice and capability for shaping our lives...and I know that Tina and Robert are responsible for a lot of it. 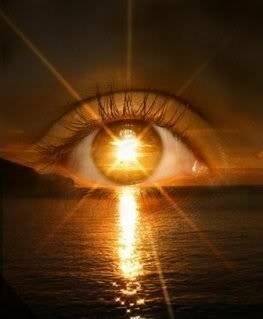 At a time when Allopathy was already powerful and blocking real healers from the public eye and creating laws to say that only Medical Doctors had the right to take responsibility for "curing" people, the Sohns forged ahead and created a new Paradigm for Healing the WHOLE person. There was teaching for the Mind, Body and Spirit...a patient was prompted to take responsibility for their own health. What a silly idea we have that we should be powerless to affect our own well-being! Although at that time I couldn't fathom healing myself either...all I knew was that under the care of Allopathic Medical Doctors, my children and I were constantly "sick" with the same diagnosis and taking the same medication month after month! My body was wracked with pain. I had headaches that lasted two weeks at a time. I finally had the realization that "It wasn't working!" Like so many others, I had believed that the medicine a doctor gave me was a "magic bullet" that would kill a pathogen once and for all. What a shocking idea when I heard that the "colds" and "flus" we were plagued with were/are actually the body's defense mechanism. If there are germs and congestion there...the body does its best to push them out! Diarrhea, vomiting, running noses...the body's way of expelling harmful germs and congestion. Tina had taught a core group the art of Yoga and Ammatherapy and set them to teaching them as well. Robert, her husband, taught Chi Kung, Karate and Esoteric Studies and taught others to teach them. In those days we called him "Guru Dev," which means "Father/Teacher." That went on for a long time until one evening at Satsang he said, "Don't call me Guru Dev anymore! I'm not your Father and I can't do your learning for you! Take responsibility for your life and don't believe anything I tell you...you go test it for yourself and decide if it's right for you!" Hardly the words of a man who hoped to control others. At that time, we also began calling Mataji Mrs. Sohn. She and Robert and their Core Students were in the forefront of the movement to Integrate Allopathy and Wholistic Health. They used the "W" on Wholistic. It's about Wholeness...not about a HOLE! Our beautiful Mataji has now passed to the Next Level. Her Blessings continue in her Daughters and Grandson and people like myself and Kent Bergstrom, whose Center in Wisconsin was Dedicated by Mrs. Sohn herself; and even in the New York College where all new management teaches because she and her husband brought Principle and Wholism to us. I only hope the current owners and teachers have an iota of the Integrity and Overview that the Sohns had. I hope they are in touch with the deep and serious concepts and sincere work on Selves that the Original practitioners of AMMA Therapy(TM) held themselves to under Tina and Robert Sohn's guidance. "AMMA Therapy (TM) is based on a healing system whose origins date back 5,000 years to the period of the Yellow Emperor. It is a highly complex form of Oriental massage therapy that, like acupuncture, focuses on the balance and movement of "qi" (life energy) within the body. The techniques employed by the Therapist are aimed at attaining a free flow of energy throughout the body. This free flow of energy is reflected into the body as a state of health and well being. 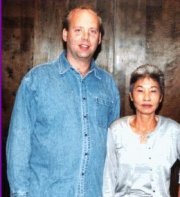 "Korean born Tina Sohn, a true diagnostic sensitive, carries on a long family heritage in the healing arts. Mrs. Sohn, responsible for developing AMMA Therapy (TM) has revitalized traditional healing arts in the Western world by incorporating them into her system of AMMA Therapy (TM) which she has been teaching to serious students for 20 years. [as of 1970s...in total she taught for about 35 years] She is also the author of AMMA--The Ancient Art of Oriental Healing, newly released by Healing Arts Press. [first copyright 1988] This is the first book in a series of three. As a highly refined system of manipulative therapy, AMMA Therapy (TM) encompasses all of the techniques found in the major forms of therapeutic massage, as well as many new techniques developed by Mrs. Sohn. "AMMA Therapy (TM) is extremely powerful when used by the skilled therapist in affecting the musculoskeletal system. It relaxes the muscles and tendons and facilitates the body's innate capabilities to maintain skeletal alignment. It releases muscle spasms and fascia and reduces adhesions. It produces dilation of the blood vessels and thereby increases blood flow. This increased circulation facilitates removal of bradykinin and histamines from involved areas and hence reduces pain. It increases lymphatic circulation, aiding in the drainage of lymphatic fluids throughout the body. AMMA Therapy (TM) promotes the release and drainage of mucopurulent material from the bronchi and relaxes and calms the nervous system. It promotes peristaltic activity and thereby tends to facilitate digestion and elimination. Overall, AMMA Therapy (TM) stimulates the body's own homeopdynamic mechanisms which work to attain balance and strengthen the immune system, serving to maintain an on-going state of good health. "AMMA Therapy (TM) has been used on thousands of patients over the last 13 years [now in 2008 millions of people worldwide have benefitted from AMMA] at the Wholistic Health Center in the treatment of a diverse range of conditions that include rheumatoid and osteoarthritis, bursitis, asthma and other pulmonary conditions, allergic rhinitis, sinusitis, sciatic pain, chronic or acute lumbalgia, cericobrachial syndrome, headaches, cardiovascular conditions including high blood pressure, gastrointestinal disorders that range from mild constipation to severe gastritis, and a wide range of genito-urinary conditions in both men and women." The only school I know of today that was personally condoned by Grandmaster Tina Sohn is Kent Bergstrom's School in Wisconsin. She travelled there in 1994 (?) to Dedicate the school and condone Kent's Intention and skills. The true Essence of Amma Therapy is not simply a mechanical skill. My first tribute to Mrs. Sohn was "lost" by AOL...I am grateful that Mrs. Sohn saw it before that. I hope she knew how much she was appreciated. I'm grateful that I saw her and was 'treated' again by her, and received her hugs! this re-creation April 2, 2008! Today is Robert Sohn's Birthday! Spirit does move in interesting ways! My first page ever, Avalokitesvara, was made April 2, 1992 on Guru Dev's birthday to honor him. Grateful again to Moyra for her Art.